Photo editor proposes effective, easy-to-use corrections for the defects most commonly found in your shots (sharpness, noise or haze problem). On the right-hand tabs, click Correction to display the three associated modules. Did you take a photo quickly with mistaken settings, or do you simply want to make your shot sharper? Move the slider right to heighten the details of the photo and enhance sharpness. Move the slider right to extend the radius to which the amount is applied to the details, or left to reduce it. 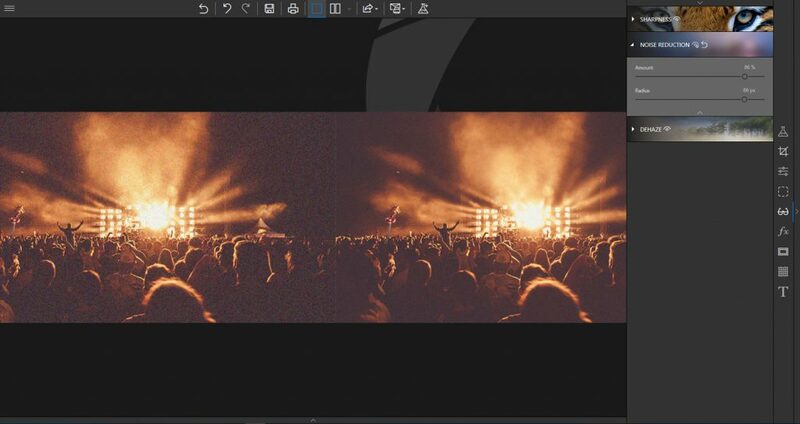 Move the slider right to reduce the formation of noise in solid-colored areas during processing. 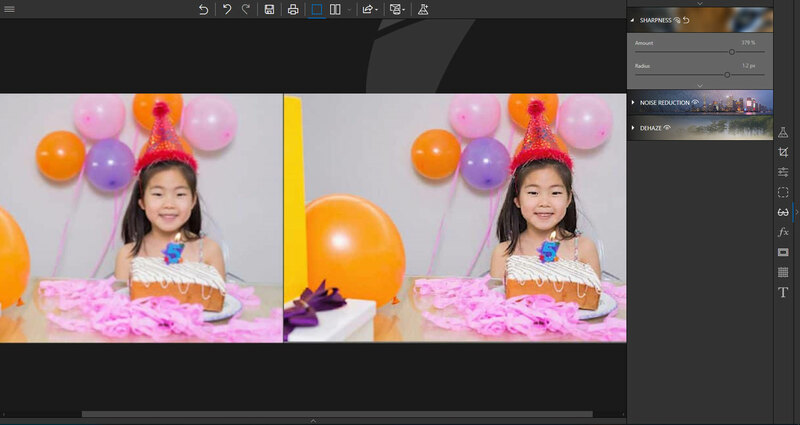 Are you experiencing noise problems in the darker or solid parts of your photos? When you move this slider right, you’ll notice that noise decreases. A smaller radius is better suited to photos with very fine details taken with a good camera whereas a large radius is more suitable for photos with coarser details taken with a smartphone. Do some of your photos present unsightly white haze? 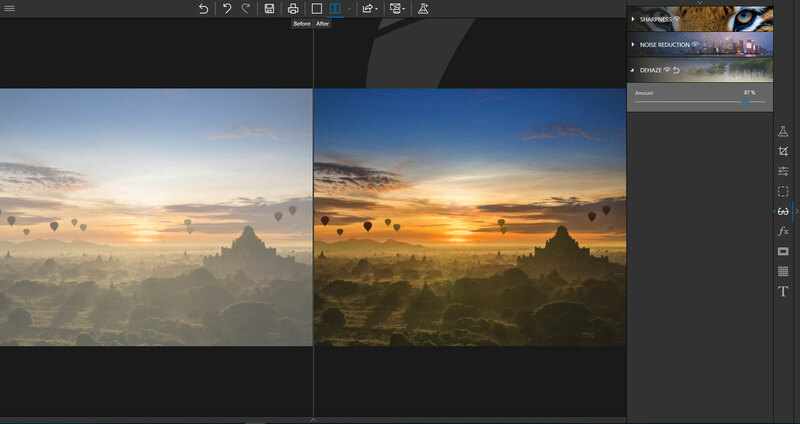 Photo Editor includes the Dehaze tool to optimally process this phenomenon.